Accountability is priority #1 – we are 100% accessible and accountable for our work and projects. Our clients are partners…our existing customers drive almost all of our new business by way of referrals. We have experience with large companies, complex enterprise software applications and SaaS solutions targeting the SMB market. The Baxley Group strives to develop strong partnerships with our customers as we not only drive leads but also close transactions and become a strategic revenue generating extension of their sales force. On Shore, Off Shore – India and Virtual (through out the United States). We have LDRs that can fit any project, budget or objective by having resources strategically located throughout North America, our regional office in Ogden, UT or in our off shore partner facility in India. We have the experience to match the right horsepower and knowledge to each step of the process combining for a repeatable and scalable solution. While we run full scale integrated programs consisting of direct marketing and teleservices, we also understand the needs, timelines, and budgets of our customers will dictate what programs are prioritized and executed. We deliver the programs that work for our customers. We pride ourselves on using the latest and best technology components to make our team effective – keeping things simple, repeatable and streamlined. Reporting and good data structure at the start of all campaigns is essential and enables a solid platform from which to scale from. Simple, Efficient, Streamlined, Repeatable and Scalable. 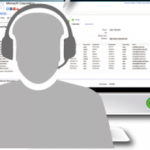 We have seen first hand what makes telemarketing organizations streamlined and effective as well as learned all of the common mistakes that so many organizations fall victim to. 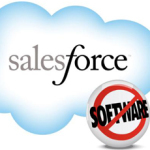 Salesforce.com consulting services and integration. List Building: The Baxley Group can provide names of those key titles that fall under the radar screen of your competition: The “Director of Customer Self Service” who is the key influencer behind a $1-million CRM initiative and the “Director of Internet Strategy” who has the CFO’s ear on the final purchase decision for an e-commerce platform. 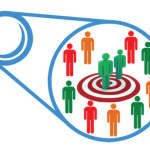 These are the “entrenched” contacts that are highly valuable but rarely identified for you. Our lists are always based off of primary research and are yours to keep, for use in multiple marketing campaigns over several years. Armed with accurate and up to date contact information you’ll have a variety of media through which you can reach your audience. We never source contacts based on title only, we always navigate an organization based on your requirements and the prospects role, responsibility and function. 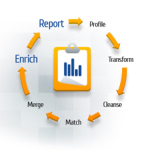 Account Profiling: Through our unique combination of technology, enterprise software sales experience and our business analyst team in India we are able to effectively aggregate, organize and rank information relative to your solution and prospects. 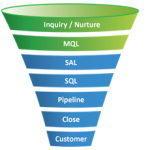 Actionable information is paramount for all lead generation programs and efforts, the foundation from which all prospects grow. Outbound calling isn’t traditionally effective because sales reps (inside and field) don’t have the right information at their fingertips to be successful. Empowering reps with the right information will not only generate more successful calls, but also helps increase the volume of calls and time spent “pitching” to appropriate and important prospects. Too much time is wasted trying to figure out who to call and what to say-simply calling the main switchboard isn’t effective. Prospects aren’t concerned specifically about what your technology does or how it works, they’re really interested in how it will add value to their organization. Our clients provide us with a list of top accounts requiring detailed strategic account profiling. 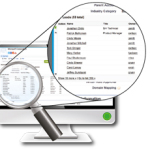 The resulting profiling data includes detailed account intelligence such as contact information, reporting structure, decision making process, business applications, business drivers, case studies, names of administrators, and the best times to reach key contacts. We use our integrated full service marketing programs to augment our telemarketing and telesales campaigns. We design implement, and manage field marketing campaigns, whether they be webinars, direct mail or email -all relevant customer touch points. From creative design and messaging to the execution and follow up and or recruitment The Baxley Group ensures the maximization of your responses.